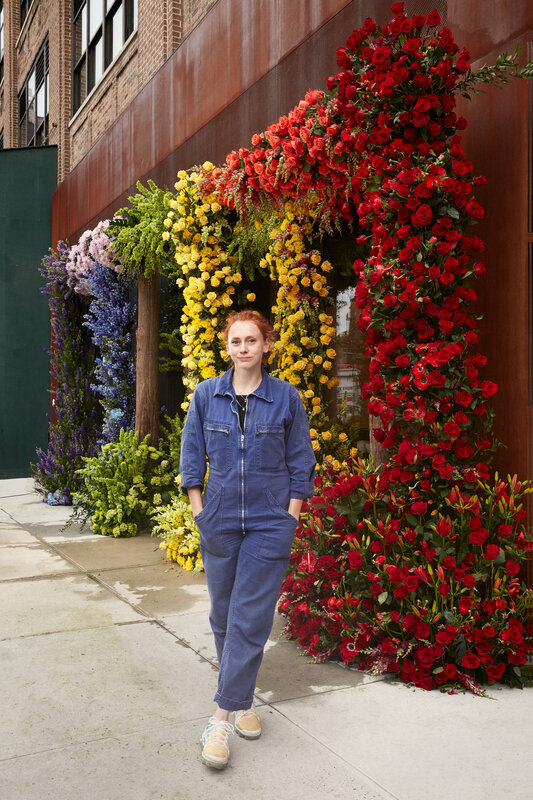 At our headquarters, we’ve partnered with Squarespace customer and floral designer Sarah Lineberger to create a full-scale floral installation on our building’s facade at 8 Clarkson Street. Sarah was the floral designer behind the most liked Instagram photo of 2017, and we’re thrilled to be working with her on this project. The installation frames our facade with more than 3,000 locally-sourced flowers. We’re proud to be a part of this important movement that celebrates inclusion and acceptance. Beyond our external actions, our mission of empowerment starts from within. Our company is committed to developing and building diverse teams so we can better understand, and create for, the multifaceted cultures and identities of our customers. Going to the march? We’ll see you there. We’re proud to continue supporting Pride and look forward to engaging in more initiatives to create a more inclusive future for us all.